Smoothies are a good alternative to ice cream, snow cones or Slurpees for the health-conscious. No, it’s not an exact replacement, but it has a similar slushy icy taste, without any unhealthy ingredients. 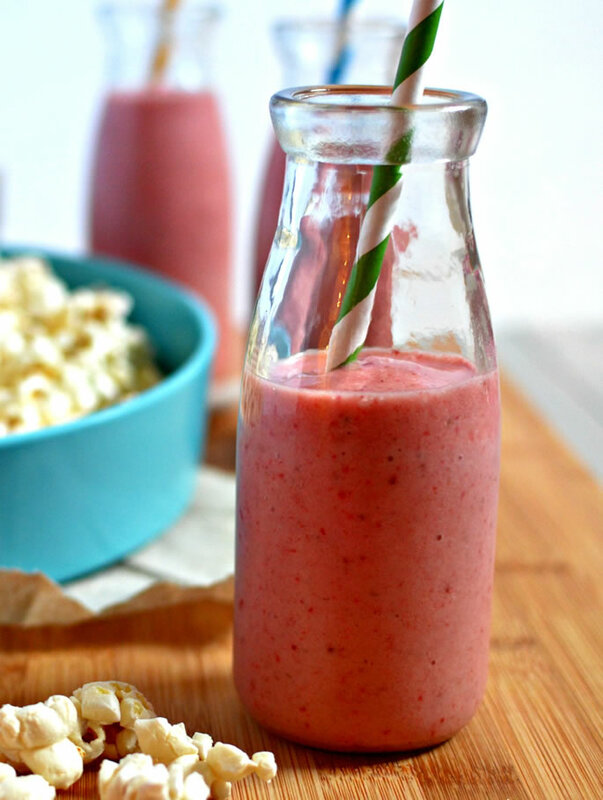 This strawberry-banana version is my “go-to” smoothie, because it’s so quick and easy to whip up, and it’s consistently delicious. The trick to sweetening this smoothie is the banana. Perfectly yellow ready-to-eat banana? That’s exactly what you don’t want to use for this smoothie. Think dark brown, and I mean really brown. The kind of brown you’d normally scrunch your nose up at and throw in the garbage. I buy bananas and leave them in the fridge for at least 2 weeks before using. Sometimes up to 3–4 weeks. Leaving them on the counter would be akin to throwing an all-out fruit fly party, but the fridge is the perfect place. It also minimizes the smell. Why such old, brown bananas? They develop an intense sweetness that makes the smoothie taste incredible. Interestingly, I also find the banana flavor less intense when I use the more overripe bananas. 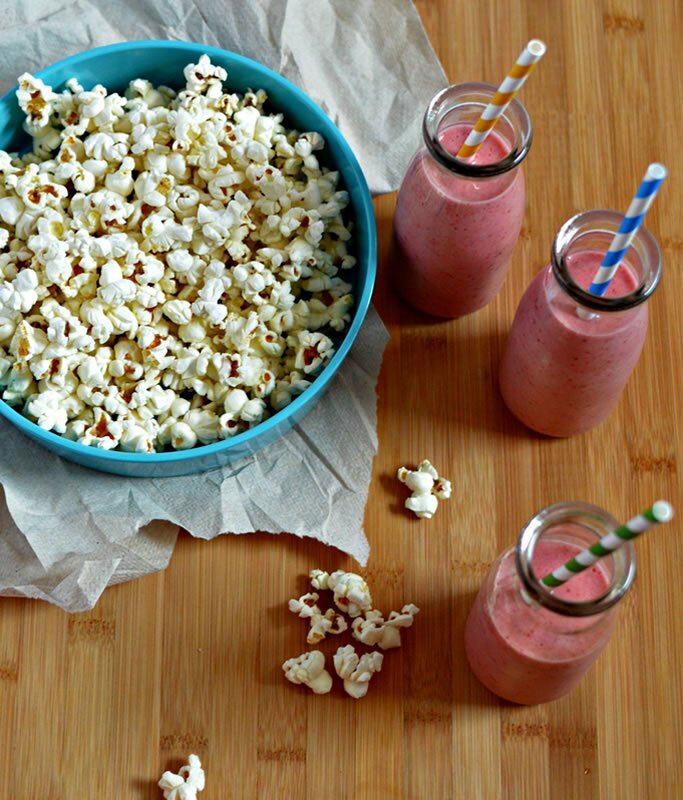 Aside from the banana, you’ll need some frozen strawberries. Yes, it’s very important that they are frozen. 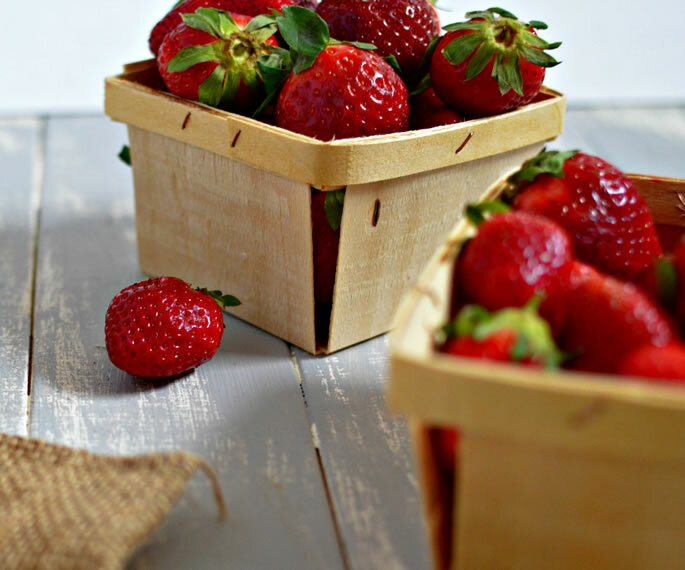 By freezing the strawberries, your smoothie will be thick and creamy. You won’t need to add ice, which would dilute the flavors. So, banana, strawberries, and the milk of your choice. I usually use almond milk or coconut dream, but you can definitely use soy milk, cow’s milk or other milks. Depending on the shape and strength of your blender, you may need slightly more milk to get the fruit moving. But don’t add too much, or your smoothie will be too liquidy. Another trick to help with the blending is to have the banana closest to the blade. You can add in a scoop of chia seeds, flaxseed and/or wheat germ after the smoothie is fully blended. Just mix it in gently with a spoon. Smoothies really need to be eaten immediately. They don’t last well in the fridge. So . . . smoothie up! 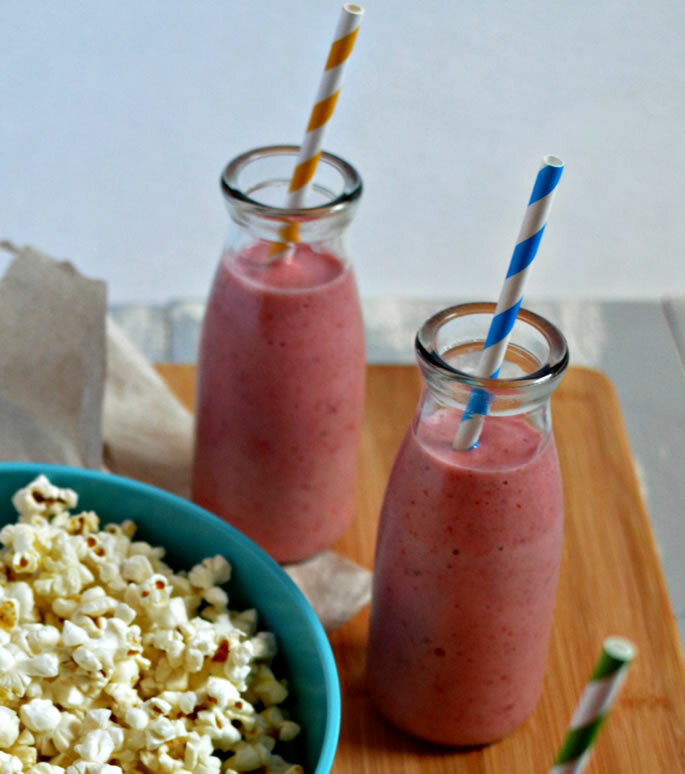 Put frozen strawberries, banana and milk in a blender. Pulse until smooth. 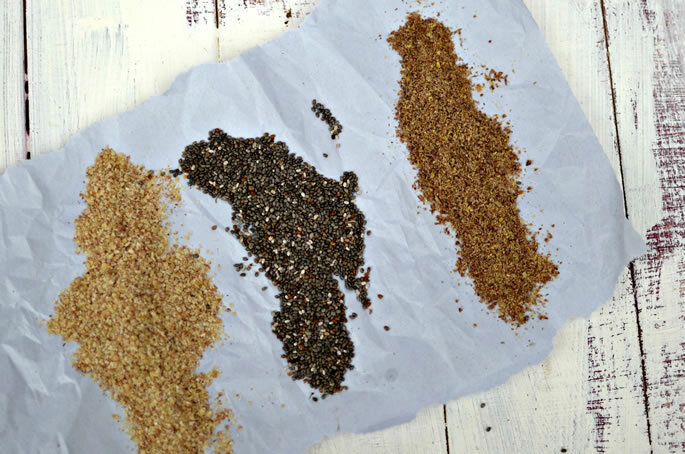 If you want to boost the nutrition level, gently stir in some chia seeds, flaxseed or wheat germ before eating. What’s your favorite fruit combination for smoothies? Share your ideas in the comments so we can all get some inspiration. If you freeze brown bananas and use frozen strawberry, you do get ice cream. almond "shakey" drink my two year old calls this smoothy a "shakey drink"
Take almond milk (can make it yourself- pretty easy) or vanilla rice milk. add a heaping tablespoon of almond butter. has calcium and tastes like a milkshake. its sweeter if you use the rice dream. technical detail when do you put the banana in the fridge? while they are still green? or do you wait for them to ripen to yellow with specks of brown first and then refrigerate for two + weeks?